In this article we will show to you the steps in installing and setting up a PDF Viewer in WordPres. First, you need to install and activate the PDF Viewer plugin. After the activation, you must visit Settings > PDF Viewer to configure the plugin settings. This plugin allows you to control the height and width of the PDF viewer and disable support for older versions of Internet Explorer. The plugin will not show the PDF viewer to users by default, but instead, those users will able to see a download link. Then click on the save changes button to store your settings. In adding PDF files in your blog post, you need to upload a PDF file by creating a new post or edit an existing one. Then click on the Add Media button above the post editor. After the upload, you can copy its URL directly from the media uploader and add this URL wrapped between [pdfviewer] [/pdfviewer] shortcode. And that’s all. 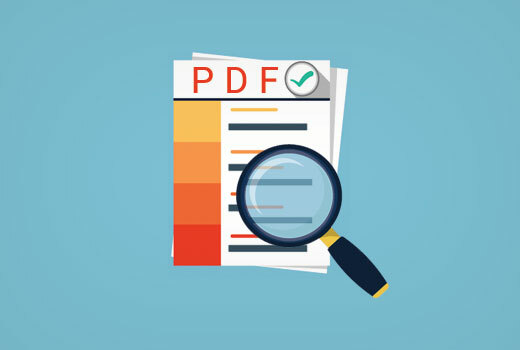 If anything is not clear to you and need more information, you can check the full article at How to Add a PDF Viewer in WordPress.